Stella Pulo is a vibrant educational consultant with a sharp eye, wide range of skills, knowledge and international experience. Whether guiding students with reading and writing or conducting professional development for school administrators and teachers, Stella's unique style guarantees results. Utilizing a pragmatic approach, Stella has assisted numerous school administrators with preparing for their School Quality Review. In addition, she has helped teachers create exciting units of study that engage all students. Stella has taught at all grade levels, from Pre-K to high school in a variety of settings ranging from public, private and charter schools to language and correctional centers. She has designed specialized programs in English as a Second Language, conducted writing projects for Lincoln Center Institute of Aesthetic Education and at Columbia University, Film and Television Department. 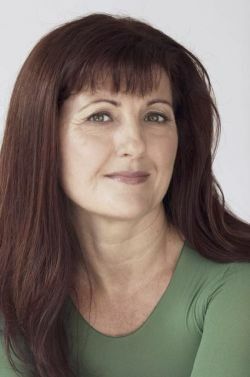 Stella has written curriculum for the Victorian Arts Centre (WinterArts Programme) in Australia and New York School of Visual Arts, where she is currently on Faculty in the Humanities and Science Department, as well as for numerous Arts-in-Education agencies in New York, New Jersey and Connecticut. In 1993, the Japanese Ministry of Education commissioned Stella to devise the English curriculum for elementary, middle and high school. Prior to departing for the United States in 1997, the Australian Minister for Education, Mr. Norman Curry, declared Stella's work in Education as "... exemplary and ground breaking." Stella has worked in over 200 schools since immigrating to US.